I had usually decided there was no point in writing my sort of fiction in 1980. Even if my work was published at last, and a few people read it for a few years, what would be the end of it all? Where would my book be in, say, forty years’ time? … Of the few copies that had actually been bought, fewer still would be stacked on shelves. Of these few even fewer would be opened, or even glanced at, as weeks and months passed. And of the few people still alive who had actually read the book, how many would remember any part of it? Is it possible, now, to answer some of these questions? Here we are in 2018. We’re not quite forty years on from the story, but we’re near enough that it makes little difference. At the time that Murnane went about writing ‘Precious Bane’, he had cause to share his narrator’s pessimism. 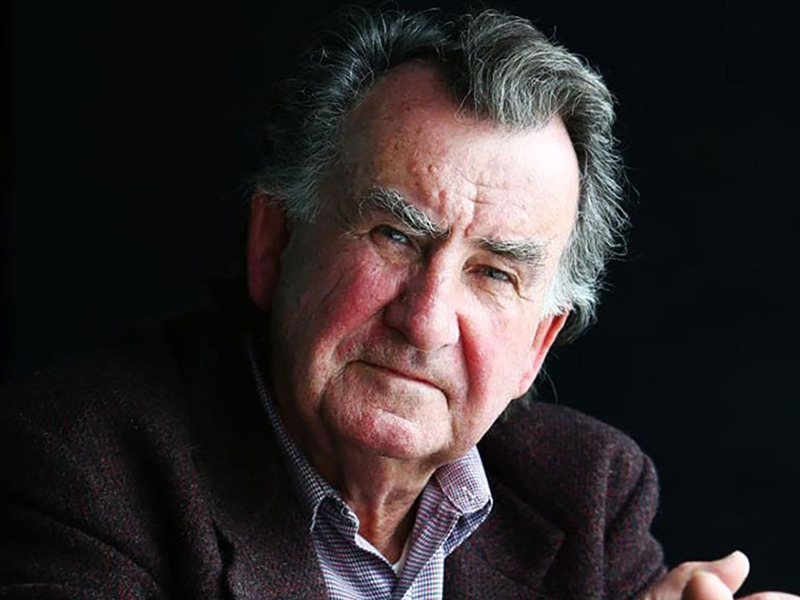 His first three novels, all idiosyncratic, had struggled to reach a broad readership, and ‘Precious Bane’ ended up being published contemporaneous to Landscape With Landscape (1985), a book that Murnane has lately said was “brutally treated in its early years”. His prospects as an author weren’t exactly bright. When the words above first appeared in print, they came from a writer who could pose a question like “Where would my book be in, say, forty years’ time?” and expect it to be taken rhetorically. 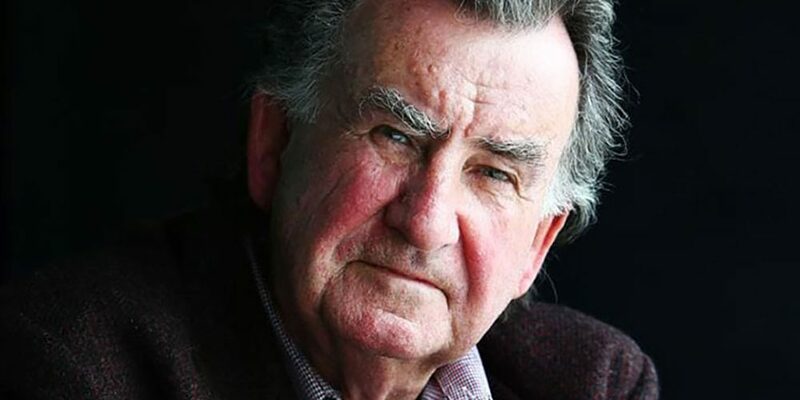 As his narrator squints into the future and scans the horizon for readers, he does exactly what Murnane himself must have been doing at the time. But the passing decades have changed things dramatically and Collected Short Fiction is one part of the proof. The real question has nothing to do with the whereabouts of a book with longevity and everything to do with its form, its capaciousness, its respect for the labours of a lifetime. Murnane’s Collected Short Fiction is a monumental book in both senses of the word. For one thing, it’s physically imposing, near on five hundred pages of some of the most conceptually and stylistically demanding prose in the English language. For another thing, it carries an air of retrospection with which it puts a seal on a project that has decisively come to an end. Its title is a little misleading: the book includes none of the loosely connected stories from Landscape With Landscape, yet it does include three self-contained excerpts from A History of Books (2012) in spite of Murnane’s contention that History is one long piece of prose. But given that Landscape With Landscape came back into print two years ago, and that there’s no harm done by the excerpts from A History of Books, neither the absence of one nor the inclusion of the other impinges on the stories at the core of this volume. These stories include the entire contents of the two collections that followed Landscape With Landscape — Velvet Waters (1990), long out of print, and Emerald Blue (1995), impossible to find after much of its initial print run was pulped — as well as ‘The White Cattle of Uppington’, a story not reprinted since it first appeared in the journal Southerly in 1995. Altogether, Collected Short Fiction fills a longstanding gap in the Murnane oeuvre. Its arrival allows readers to access Murnane’s entire body of work as never before. Farrar, Straus and Giroux. $18.00. Newcomers to Murnane might wonder why anyone would be interested in doing this. Cutting-edge as much of his writing may be, very few of its qualities are likely to satisfy contemporary tastes. Swathes of his stories — and his novels, too — revolve around unfashionable subjects, depict unappealing events, and articulate some very unsavoury opinions. His style is formal, often excessively mannered, not to mention self-reflexive, self-interrogative, occasionally almost impenetrable. His structural tendencies include dispensing with virtually all conventions of characterisation, plotting, scene-setting, dramatic action, narrative resolution, and linear chronology, and in fact proceeding as if such things have never existed. To say that an appreciation of his work requires a reader’s wholehearted commitment is to understate the matter wildly. But so too is it an understatement to say that the rewards of that commitment are immense and utterly unique. It’s common practice for many book reviewers to praise an author by saying things like “he has a voice and vision all his own” or “he writes like no-one else today”, even if such remarks are ultimately hyperbolic. In Murnane’s case, however, those things are literally true and his distinction from all contemporaries absolutely stands. In the fullest sense of this phrase, there are no other writers whose work reads like his. He is entirely his own being. This means that there are no conventional standards of quality by which to judge the “success” or “failure” of the stories in Collected Short Fiction, and no likelihood of persuading anyone to read them by offering a summary of their events or otherwise describing what they are “about”. What’s needed instead, I think, is an overview of what the stories tend to be concerned with, and a clearer idea of the distinctly Murnanian approach to those concerns. The typical protagonist of a Murnane story is a man reminiscing on his younger years, thrown back into memory by an encounter with a woman whose presence he finds enchanting. Note that he is not enchanted by her actions, and rarely by her bearing. He is enchanted specifically by her presence, by her dwelling in proximity to him, because her being there in a shared space is a wellspring for purely potential developments, potential scenarios involving the two of them, as yet untainted by grubby reality. It’s the purity of this potential that enthralls him. Bluntly put, then, Murnane’s typical protagonist is a man who objectifies a woman. But at no stage is this man under the illusion that the woman he objectifies is available to him. On the contrary. The memories he returns to are drawn from a youth, an adolescence, and an early adulthood spent in the conservative culture of suburban and provincial Australia in the 1950s, and particularly in the repressive atmosphere of its Irish Catholic community. He is a man crippled by the war between his Catholic upbringing and his bodily impulses. Women, for him, by virtue of his cultural background, are objects that inspire carnal desires which he doesn’t know how to answer. At the same time, he is convinced that these women and the young men they spend time with do know how to answer such desires — feeling none of the misgivings or confusions that halt him in his tracks — insofar as they are unhindered by Catholic cultural norms and the limitations imposed upon what young Catholics ought to know of the world. Because the protagonist finds his own experiences so comparatively circumscribed, he quails in the presence of the women who enchant him. Proximity to these women paralyzes him and renders him mute. He cannot bring himself to utter so much as a word to a woman who is — as Murnane puts it in ‘Finger Web’ — “too knowing”. But rather than stalling the momentum of Murnane’s stories, the paralysis of the protagonist serves instead to open up a tranquil space for Murnane to exercise his formidable artistic capabilities. The result tends to be marked by two effects that play out in concert with one another. Firstly, as above, this paralysis is what casts the protagonist into a reminiscent frame of mind which often segues into an imaginative one. The protagonist indulges in elaborate but minor fantasies: elaborate insofar as they are furnished with vivid and extravagant circumstantial details, but minor insofar as they involve such a paucity of action and activity that many pages can be devoted to descriptions of static scenes. Sometimes these fantasies are sexual, sometimes they are quaintly romantic. The sexual fantasies are often juvenile, puerile, sometimes sordid, amounting to frank descriptions of the private titillations of a lascivious naïf who fancies himself a freewheeling lothario, a man who aspires to become an Australian Jack Kerouac but ends up coming across as the Catholic answer to Alexander Portnoy. The romantic fantasies are hilariously unambitious yet earnestly and extravagantly detailed, and usually involve absurd, contrived schemes to persuade young women to spend their Saturday afternoons driving with him in a car and browsing quarter-acre blocks in the suburbs of Melbourne. He was aware only of images and feelings. The feelings connected him to the images and connected the images to one another. The connected images made up a vast network. He was never able to imagine this network as having a boundary in any direction. He called the network, for convenience, his mind. If the protagonist can navigate the network of images, Murnane suggests, then he can trace the conditions of his life that have brought him to a point at which he is paralysed by the presence of a woman. So goes the logic of the reminiscences that are the first effect of his paralysis. Secondly, though, and more interestingly, the protagonist’s paralysis puts him on what might be described as a defensively explanatory footing. He feels as if he must elucidate an account of the reasons behind his peculiar response to a woman’s presence — indeed, as if some greater power has summoned him to account for it. But since he can’t speak to the woman herself, and therefore can’t account for his response in person, he retreats into seclusion and offers his account to the blank page. Implicitly or explicitly, almost all of Murnane’s stories arise from this retreat. As a result, they tend to take an expository or explicative tone, and when Murnane’s protagonists are also the narrators of his stories, they repeatedly insist that they are only composing “reports” of events, almost journalistically, not as tellers of tales or raconteurs. Of course, in the interests of accuracy, any expository or explicative undertaking must involve pinpointing the experiential causes of the protagonist’s paralysis, but here it also involves something else with regard to style. This “something else” is what makes Murnane Murnane. During the hour mentioned in the previous paragraph, the younger of the two men mentioned in that paragraph looked into a small cupboard of steel that stood beside the bed where his father appeared to be asleep in the room mentioned in the same paragraph. Among the things that the younger man saw in the cupboard just mentioned was a man’s dressing-gown rolled into a bundle with the cord of the dressing-gown tied loosely around the bundle. While the man just mentioned was looking at the tassels on the ends of the cord just mentioned, he supposed for the first time in his life that the dressing-gown mentioned earlier in this story as having been worn often by the mother of the man in the first year that he afterwards remembered had belonged not to his mother but to his father; that the dressing-gown just mentioned had been bought by his father during one of the many years when he had been a bachelor; and that the mother of the man had worn the dressing gown often during a number of years because she and her husband and their two sons had been poor during those years. While he prepared to say goodbye politely to the young women outside their house and then to ride away on the bicycle that he had left in the morning in their backyard, so he foresaw, he foresaw that he would live as a bachelor for several months, after which he would fall in love with one image after another in his mind until the next occasion when he noticed that the image in his mind was an image of a person from outside his mind. So as the protagonist is preparing to say goodbye, he foresees himself riding away on the bicycle, and also as he is preparing to say goodbye he is simultaneously foreseeing — that is, fantasising about — the back-to-back incidents of his brief time as a bachelor and the mental images that he imagines will appear to him after that time. Understand? In short, Murnane’s stories become complex models of over-precision, as his protagonists are so insistent on being absolutely clear about who did what to whom that they apply an almost unbearable pressure on the capacity of language to make meaning. Language itself groans and trembles under the protagonists’ irrepressible need to accurately account for themselves and their paralysis; its architectural superstructure buckles — grammar twists, syntax snaps — and precision of meaning splits apart from clarity of sense. Every word is in its optimal position, incontestable, irreplaceable, but exactly what all the words add up to remains opaque. The Ur-situation, transmuted into prose, torques meaning out of shape at the level of the sentence. During the years when I bought many books and when some of those books would stay on my shelves unread for many years while I read the many other books waiting to be read, I would sometimes stand in front of my shelves and would look at the spine of a book that I had owned for many years but had not yet read and would see in my mind a sequence of images of the images that I might have seen in my mind if I had read the book and had later remembered having done so. No doubt there will be readers irritated by prose like this. It is incredibly pedantic; the Kirkus review of Collected Short Fiction calls it “tiresome” and “irksome” and claims that it “sounds like a government report written by a bureaucrat with mild Asperger’s.” For me, however, it is invested with rare prosodic and temporal beauty. Murnane’s meticulous attention to the syllabic stresses of English sentences gives his work a rhythm and meter I find mesmerising and immersive. More significantly, his command of nested clauses works together with his command of the time signatures of various tenses so that, in a single paragraph, he can gaze out onto three or four different incidents — some past, some present; some possible, some actual — and watch them unfold simultaneously, in parallel, with effects on successive events along as many different timelines. Murnane’s stories, in essence, exploit the unique capacities of language to collapse distinctions in spacetime. There really is no single moment and no single location that cannot be seen as adjacent to any other, or interlaced with it, or overlaid with it. I know of no writer besides Murnane whose work behaves in quite this way, or with comparable consequences for expanding the sensory and referential possibilities of its raw materials. By faithfully observing every rule of correct composition to an extent that overheats his prose, Murnane obliterates received ideas about what those rules allow language to achieve. 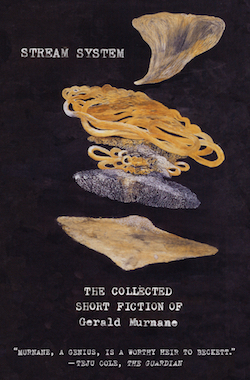 Like most collections of stories, Collected Short Fiction is an uneven book. This is partly because the stories vary dramatically in length — ten pages, thirty pages, fifty pages; and ‘Emerald Blue’, at one hundred pages, is really a novella — and partly because different treatments of the Ur-situation open up different possibilities for Murnane’s experimentations with language. The least satisfying stories are those in which Murnane’s narrator looks back on himself as a young boy and revisits his memories of an older man, an ageing bachelor, usually an uncle figure, onto whom he transposes the anxieties of the Ur-situation. Stories like these offer sensitive portraits of extended families, or of unconventional family structures, through the eyes of child who can’t see the significance of someone else’s situation until he becomes much older. Some of these stories, such as ‘Cotters Come No More’, are technically accomplished and emotionally stirring — unusually so, for a writer like Murnane — but they are free of the defensively explanatory pressure that propels the narration of many of the other stories. As a result, they lack the sense that the narrator is speaking of things he absolutely must account for, even if he can’t be sure how to make his meaning plain. In other stories, Murnane doesn’t transpose the anxieties of the Ur-situation onto someone else, but instead takes them up as threads in a more ambitious project. In ‘Velvet Waters’ and ‘Emerald Blue’, for instance, he spins these anxieties off into many ornate descriptions of different events which at first unfold in parallel and then knot together. Such stories have more moving parts than the nostalgic family portraits, and they also unfold across a broader canvas, connecting situations that are separated by many years and that seem to be unrelated for pages at a time. These stories are more impressive than the youthful stories, because more technically accomplished, but by way of their elaborations, and their structural segmentation, they, too, water down the urgency that drives Murnane’s more limited, more concentrated pieces of prose. The best of Collected Short Fiction, to my mind, is the subset of stories in which the Ur-situation is sublimated somehow, or relegated to the background of a narrative, in a way that allows the focus to land on an even more outlandish dilemma. Usually, this dilemma stems from the protagonist’s entanglement in some impossibly elaborate scheme, a scheme governed by inscrutable and over-determined rules which the protagonist must explicate in detail in order to divine the meaning of his situation. In ‘Stone Quarry’, for instance, the protagonist is a participant at a bizarre workshop for writers, and the woman who enchants him is someone he can communicate with only indirectly, through a complex system of glances and gestures. All the essential pieces of the Ur-situation are in place, particularly the indulgence in fantasy, but there are a couple of extra dimensions to the story which allow for extra doses of speculative, conditional, multitemporal prose. These dimensions open up from the protagonist’s attempts to decipher the possible meanings of the woman’s seeming gestures — gestures that may be either happenstance or purposeful, vaguely meaningful or entirely meaningless — as well as from his musings on the meanings that she, in turn, might ascribe to gestures he makes in her presence. he saw in his mind himself travelling in January 1965 from the suburbs where he had always lived to the country district where he would sit in a Catholic church each Sunday morning and would choose in his mind the young woman who would not be too knowing to want to become his girlfriend. For me, ‘Land Deal’ is a blistering excoriation of all manner of colonial ills that have troubled Australia since its foundation and continue to do so today. Importantly, the ridiculous mismatch between the identity and the voice of the narrators is absolutely key to both the effect and the point of the story. But I’m certain that there will be readers of Collected Short Fiction who can’t abide a story that assembles its materials in this way, much as I’m certain that other readers will find they can’t stomach yet another male protagonist objectifying a woman, irrespective of the ethical ends that these stories seem to be directed towards. I confess I don’t know what to say to readers who might respond along these lines. I’m not sure I could say anything that would persuade them to take a closer look at Murnane. Still, it’s worth insisting on the extraordinary difficulty of writing a voice that is syntactically totalising, offering readers no room for misunderstanding, even as, with every word, it undercuts its own pretensions to authority. A writer capable of creating such a voice deserves to have his or her work taken at much more than face value, understood as being geared towards more than what it seems to be “about”. Better still than ‘Land Deal’ are three stories that draw on the Ur-situation but manipulate it into different forms. Like ‘Stone Quarry’, each of them involves a narrator’s encounter with a female figure who is also a writer, or aspires to be, but each of them also has other aims beyond muddying the meaning of the interactions between the characters. In ‘When the Mice Failed to Arrive’, arguably the most unsettling story in the collection, it is a young girl, not a grown woman, who is subject to the narrator’s attentions, and who is unwittingly implicated in a scheme whereby the narrator indirectly draws out details of her private self. In ‘In Far Fields’, the narrator is a teacher of creative writing who offers an explanation of his method for composing a work of fiction — called to account by an enchanting female student — but he strives for a degree of accuracy that can’t catch up to the pace of his thoughts. “While I was writing the previous sentence”, he says at one point, signalling an intention to backtrack on the remarks he has just made so that he can describe what sprung to mind as he searched for his words; “While I was writing the previous paragraph”, he says a little later, backtracking again, and then, leaping back even further and resurrecting two different time signatures: “During the years mentioned in the first paragraph of this piece of fiction…” And finally, in ‘The Interior of Gaaldine’, the narrator tries to express his reasons for giving up writing altogether. This time he is an esteemed but largely obscure novelist preparing for a tour of Tasmania, and in a provincial hotel he encounters a woman who guides him into reading a piece of her own writing — composed in accordance with an impossibly elaborate and spurious set of procedural guidelines — in a way that allows him to use her to speak to the reader on his behalf. It should be noted that these last two stories originally bookended Emerald Blue, and their dual resurrection in Collected Short Fiction is perhaps the greatest gift the new book offers. Oddly, that particular distinction doesn’t go to ‘The White Cattle of Uppington’, the only story in Collected Short Fiction that has never before appeared in a book. Centering on the protagonist’s efforts to read James Joyce’s Ulysses (1922) without allowing outside thoughts and memories to contaminate the experience, it is as skilled a piece of writing as one would expect from Murnane and isn’t at all out of place in this collection. But at this point in time, twenty years after its initial publication, it reads like both an underdeveloped attempt to ape ‘Emerald Blue’ and a test run of the segue-by-image associative structure that Murnane has perfected in the string of novels from Barley Patch (2009) to Border Districts (2017). The story reads now like a fascinating footnote to Murnane’s more recent work, the books to which it has had to yield its novelty. Very little of this is likely to satisfy readers who aren’t already familiar with Murnane. While it’s possible that a few of the individual stories may pique the interest of new readers here and there, as Teju Cole says was the case upon his discovery of ‘When the Mice Failed to Arrive’, the best points of entry to Murnane’s back catalogue remain the three early novels: Tamarisk Row (1974), A Lifetime on Clouds (1976), and especially The Plains (1982). As a whole, Collected Short Fictions serves as a bridge between those novels, plus Inland (1988), and the four novels of the post-Barley Patch renaissance. 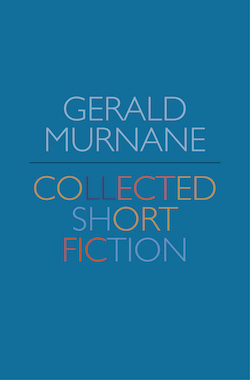 In particular, story by story, Collected Short Fiction illustrates the drift of Murnane’s concerns over the four decades of his career, from his early fascination with spatiality — and the creation of inner landscapes by way of envisioning faraway spaces beyond one’s immediate sphere of being — to his later fascination with the relationships between mental images. The book is bound to satisfy primarily those readers who have visited the destination the stories are moving towards. Those readers are there, too, in the pages of the book itself, in that eerie scene in ‘Precious Bane’, implicated in the narrator’s question about the enduring value of his work. “Where would my book be in, say, forty years’ time?” he asks. The narrator, as a literary construct, will of course always ask that question rhetorically and always be deprived of an answer. He has no existence beyond the pages he composes. For Murnane himself, however, that’s not the case and the answer is clear. Forty years on, his short fictions are in print anew, in a legacy edition, reaching out to readers who have yet to encounter his work while still enthralling those whose inner landscapes were long ago shaped by his outlook.